What comes next for Berlin's building squatters? Police in Berlin have cleared a budding squat, causing several injuries and setting off a heated political debate. In reality, the protesters' demands are relatively modest — and the owners are still open to talks. Monday's clearance by Berlin police of two briefly occupied apartment buildings set loose a massive social media debate, which swung wildly between political extremes. While far-right populists were drawing comparisons with a 1990 street battle between squatters and police in the chaotic months of post-reunification Berlin, some leftists were attempting to paint the protest as a call-to-arms against capitalism itself. In the end, the affair was swiftly nipped in the bud by the owners from building management company Stadt und Land. On Monday morning, Managing Director Ingo Malter decided to cut off negotiations with the squatters by pressing criminal charges, which forced the police to act. Now 56 people are being investigated for trespassing, which is "not a particularly serious allegation," according to Sven Richwin, a local lawyer who the protesters asked to represent them in the negotiations. "It is only pursued by authorities when the owner presses charges and the investigation is stopped if they withdraw the charges — I think that will be part of negotiations now," he told DW. There was considerable anger from both sides at the role played by the left-wing Greens and Left Party, who form two parts of the three-party Berlin government. Politicians from both parties expressed sympathy with the occupiers — an alliance using the name "Besetzen" (Occupy) — but then failed to do anything to prevent the police clearance. 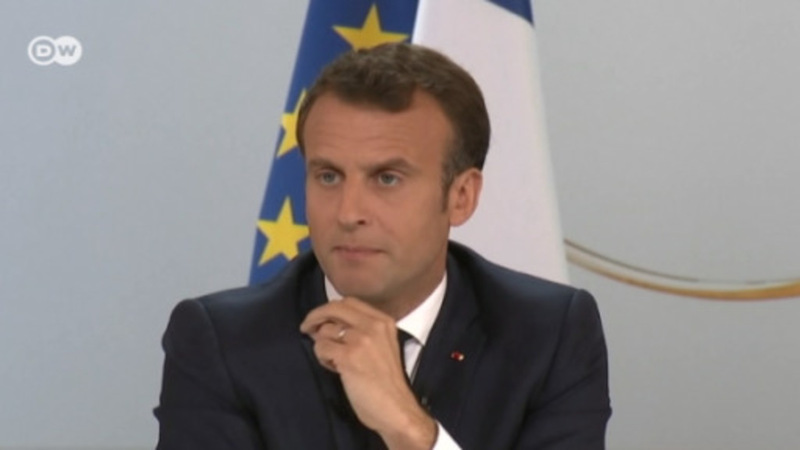 Meanwhile, the two parties caught heavy flak from the right-wing opposition and parts of the Berlin media for showing any understanding at all. For their part, the protesters themselves blamed the clearance solely on Berlin Urban Development Minister Katrin Lompscher, of the Left Party, for pushing the responsibility for the decision onto "the less politically-exposed" Stadt und Land head Malter. Meanwhile, the actual negotiations in the middle of this political storm were fairly minute — if somewhat bitter. 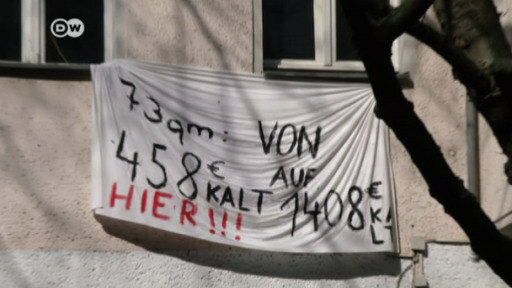 They were centered around turning the 40 empty apartments in the Neukölln district of Berlin into an affordable housing project — while the protesters wanted to pay €4 ($4.70) per square meter, Stadt und Land were offering a price of €6.50. Richwin said the occupiers were prepared to renovate the building themselves. "They said from the beginning that it wasn't just about them, but about other people who don't have much money — there will be talks about that too," he said. Besetzen described Stadt und Land's offer as "ridiculous," with spokesman Noah Blechler telling local public radio station RBB, "We're not fighting to reach a normal, affordable rent, but a truly self-administered social living space." According to Blechler, it was while the occupiers were deliberating over a counter-offer that the police "stormed in" and cleared the building — with considerable violence, as eye-witnesses have said. A statement published by the Besetzen alliance on the indymedia website said that police "kicked people down the stairs, and several people later had to be taken to hospital." That wasn't how Malter remembered the talks. "I wanted to avoid police action," he told DW. "The condition I made was that they voluntarily left the building. I didn't get the impression that the occupiers really had any interest in that, because it was a concerted action in different locations in Berlin — at the same time it was a political signal, and I am sure they were expecting a clearance." "I am always ready for talks if it's about a housing project, but I can't disadvantage other groups because of violent actions — namely the forced entry of the building," Malter added. "Without offering any specific place, we would first have to talk about what kind of housing project this group is imagining — I asked that question over and over again on Sunday." Rents are increasing massively in Berlin — a recent study found that they were rising faster than any other city in the world – and Germany's state and federal governments are facing criticism that they are not doing enough to curb rampant property speculation in the capital, whose population is currently increasing by 40,000 people every year. But, since Stadt und Land is wholly owned by the state of Berlin, the Neukölln building that was being disputed on Sunday is not directly vulnerable to that kind of speculation. The occupiers have another grievance entirely — they suspect that the government was allowing its own property to rot because the company is too disorganized to know what state its property is in. "It's a classic Berlin problem, so to speak," said Richwin. This is illustrated by the growing row between the two sides over the structural stability of the building. "The Berlin politicians keep saying: we have to build so much, and it's really difficult and expensive," said Richwin. "But at the same there is a lot of property standing empty that the state has direct access to — they just have to renovate it and the flats would be ready. Stadt und Land has owned that building for three years, and nothing has happened in that time. And people are actually living in the same building next door. If there really was a danger that it will fall down they'd have to evacuate the whole building." Malter challenged this too. "We don't have that many empty buildings, luckily," he said. "We couldn't renovate this building because we had to carry out a lot of inspections — a sports airplane once crashed into it and left behind some damage. The assessment that followed this found several more problems, which resulted in the need for more inspections."